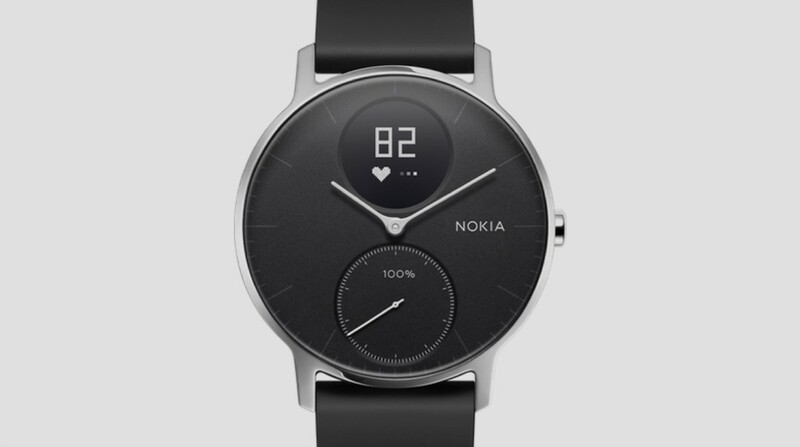 Hybrid smartwatches like the Nokia Steel HR, Garmin Vivomove HR and the stack of collections coming out from the Fossil Group are expected to be appearing on more wrists in the not too distant future. That's according to a report by Juniper Research, which suggests that smart analogue watches will make up 50% of the smartwatch market in 2022. So that's in less than five years. In terms of figures, that works out to around 80 million hybrids being shipped, which would be up 460% on the estimated 14 million that shipped in 2017. In comparison, full fat smartwatches like the Apple Watch and the Fitbit Ionic will increase by 160% in the same period. Based on the firm's latest piece of research, Smartwatches: Trends, Vendor Strategies & Forecasts 2018-2022, the slower growth of smartwatches with full touchscreen displays that run on their own operating systems is down to the fact that several big names, including Motorola, Huawei and Sony have backed away from making smartwatches. At CES 2018, all three of those companies had no smartwatch news to talk about whatsoever. That doesn't mean these more feature-packed smartwatches aren't proving appealing. The decision by the likes of Apple, Casio and Samsung to focus on specific use cases such as fitness and sports tracking has been seen a good strategy to get more people wearing them. While hybrids are proving popular, Juniper does expect companies to make fewer devices with hybrid makers supposedly shipping less than 2 million devices a year. The exception to that is Fossil who do of course offer both hybrid and full fat Android Wear-packing watches and is forecast to ship over 6 million smartwatches by 2020. As far as key features are concerned, Juniper expects GPS to be inside of nearly 50% of all smartwatches by 2022. NFC's growth in comparison will apparently be much smaller. That's somewhat disappointing as we are firm believers that NFC-enabled contactless payments should be a staple feature for smartwatches. With fashion brands, Swiss watchmakers and the likes of Garmin and Casio now making attractive hybrids, it's perhaps not all that surprising that a good looking watch with discreet connected features are giving the Apple Watch, Fitbit Ionic and Samsung Gear S3 a run for their money.